About – Where Angels Fear to Tread? ‘Where Angels Fear to Tread?’ is a sharing of explorations and experiences in Consciousness. These experiences are my journey, which is that of exploring and expanding consciousness. I share from the heart and it is an essential act for me to share, as I realised that sharing is necessary to integrate experience. Sharing is part of the alchemical process of inner growth and once an experience is witnessed, it becomes part of Consciousness itself and those who have shared are now emptied and ready to move on. Here you will find a collection of musings, realisations, teachings, inspirations … some light, some dark and some yet to be determined. All of them a gift to, through and from me that go back over 20 years of awakening to the spiritual Self and go forward as I continue in this process of transfiguration of self into Self. Good question. Isn’t that we are here for though? To find out who we are? In the meantime though, my name is Lynn Paterson and I reside in Stirlingshire, Scotland. I’m interested in spirituality and sexuality and my journey is how to reconcile the two into One. Along the way I do my best to have some fun too. I’ve been exploring the Mysteries of the divine feminine throughout my life though I didn’t always know it. In the past I have worked with individuals and groups in the fields of tantra, touch, kundalini, conscious sexuality/healing and also angel workshops. I’m a Reiki master with many other healing modalities such as crystal healing and Trager bodywork to my name. 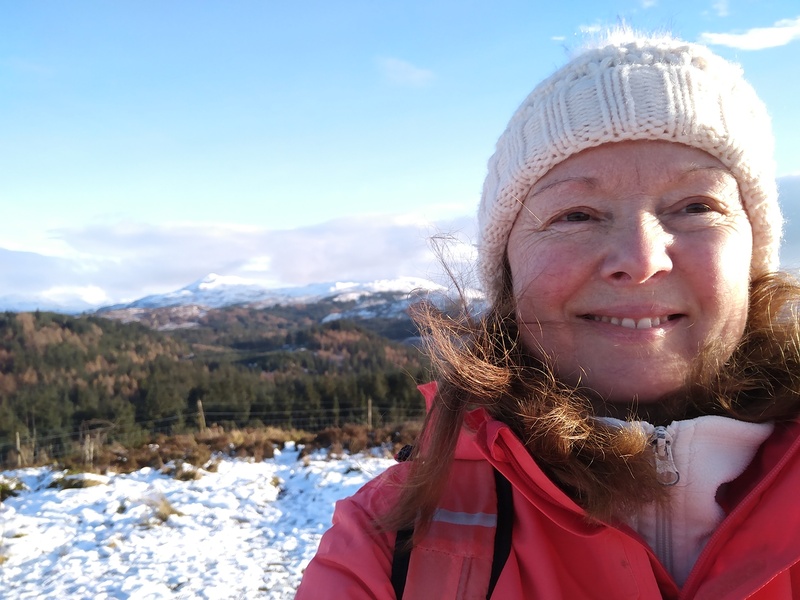 Currently I’m based in the glorious faery kingdom of Aberfoyle in The Trossachs, Central Scotland where I’ve been spending a lot of time out in nature exploring and communicating with the spirits of Nature. I’m available as a private tour guide for your nature or sacred site quests, journeys and experiences in France, Scotland, UK, Ireland or elsewhere by agreement. I am also available as a speaker on a freewill offering basis. 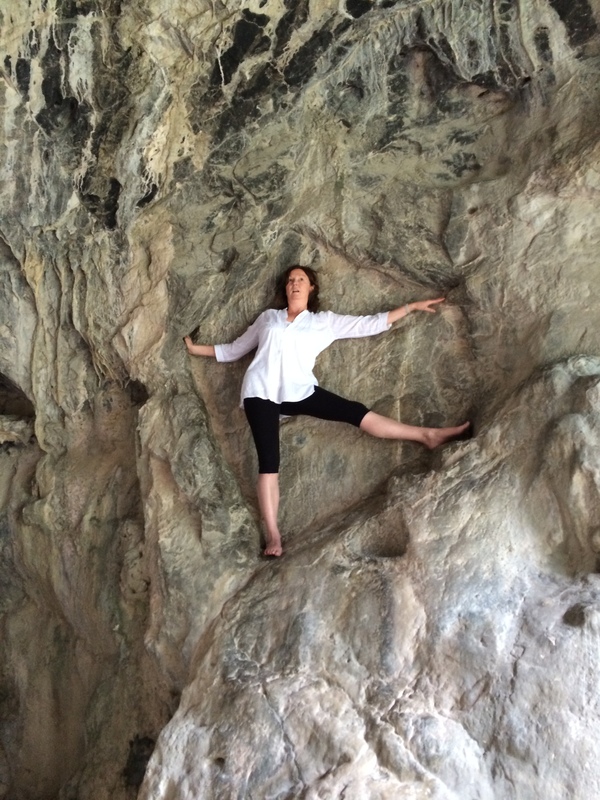 In the Cathar Initiation cave in South West France, on our retreat Sept 14. I particularly like your comment about consciousness being shared and then you are emptied out to to move on. This is soooo real and true to me. You have a wonderful blog that is well written and inspiring, thanks for sharing! Tess, thank you for your lovely feedback – sometimes a comment comes at exactly the right moment to inspire, and that is yours today. You could also call it “Where Angels Tread the Fear.” Great job!